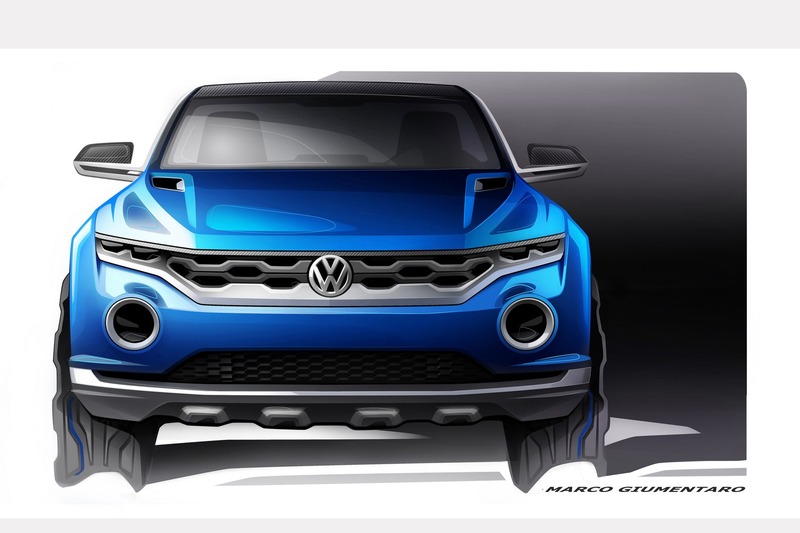 In the run up to this year’s Geneva Motor Show, German automaker Volkswagen has released sketches of the T-ROC SUV concept, one that is longer than the Taigun but shorter than the Tiguan. With its length (4,179 mm), breadth (1,831 mm) and height (1,501 mm) making it slightly larger than the Polo, the T-ROC Concept SUV squarely falls in Renault Duster territory. 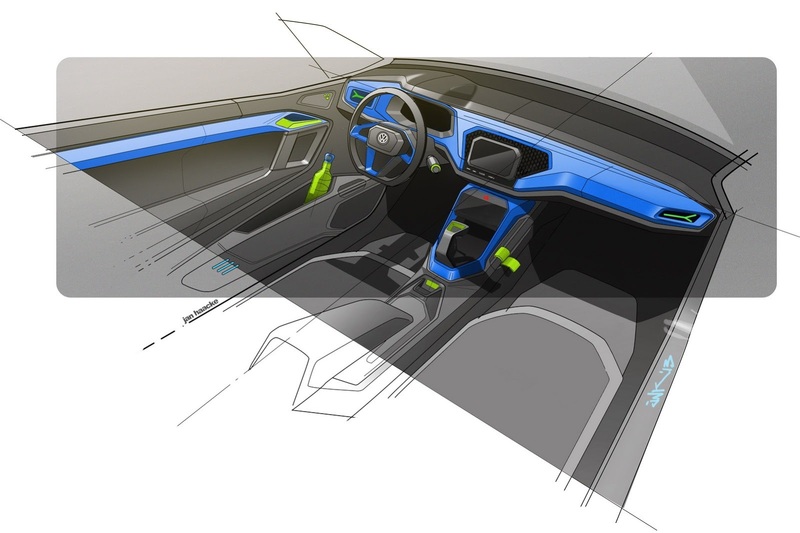 Volkswagen, for its part, says that the T-ROC “offers a glimpse at future Volkswagen SUVs”, allowing us to draw interpretations of what the T-ROC SUV could morph into in the future. 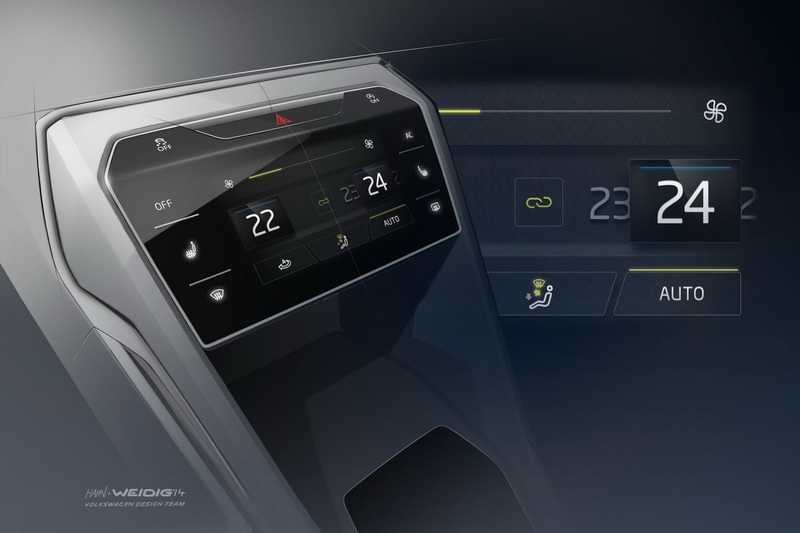 The T-ROC Concept SUV features a three door layout, a-la-Range Rover Evoque, and comes with a roof that is detachable. 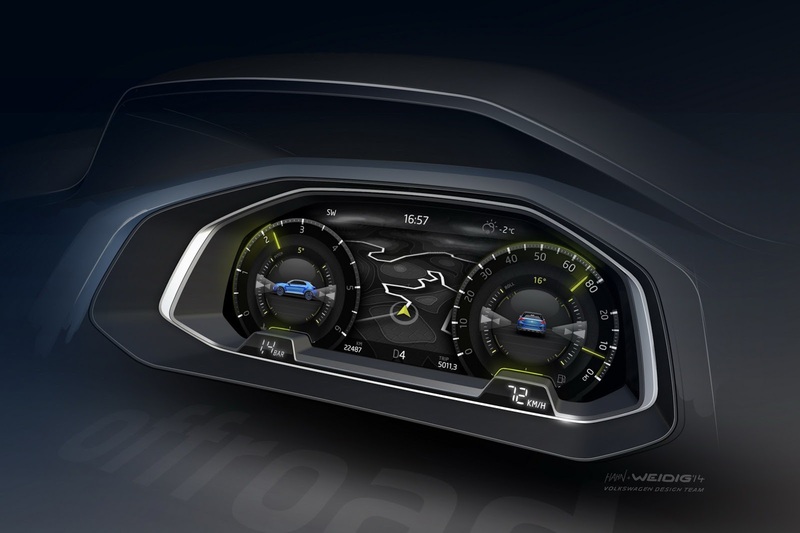 Also, the SUV Concept features the 4MOTION four wheel drive system, one that gives the concept a dash of off road cred. 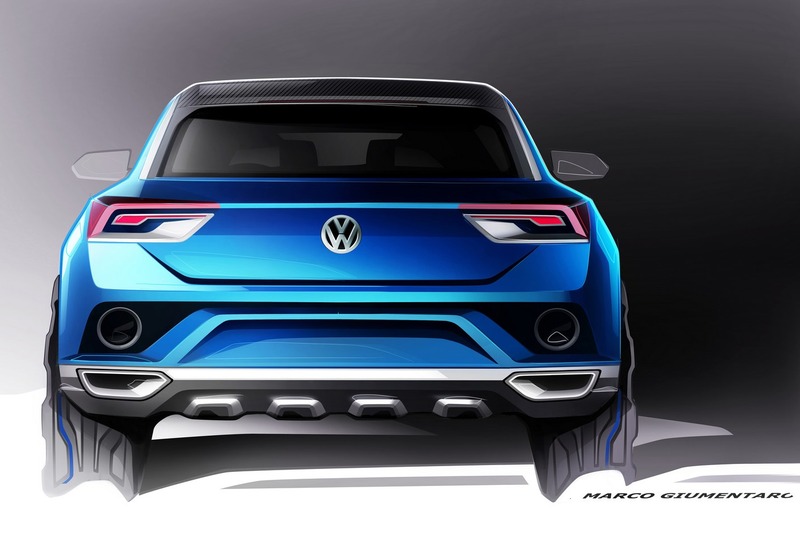 A 2 liter TDI turbo diesel engine, lifted from the Golf GTD and good for 184 Bhp-380 Nm, powers the T-ROC, while transmission duties are handled by a 7 speed DSG dual clutch gearbox that transmits power to the all wheel drive system by means of a Haldex clutch. 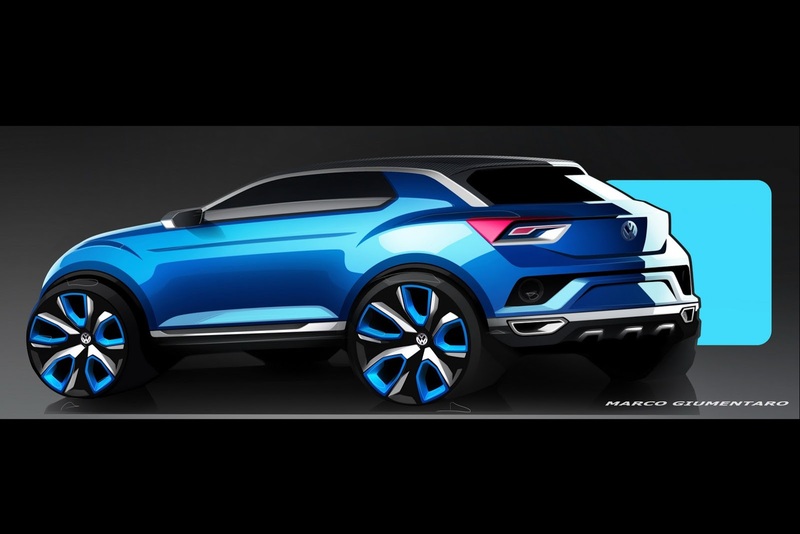 The T-ROC concept SUV is based on the MQB platform, one that will underpin the next-generation Polo hatchback too. 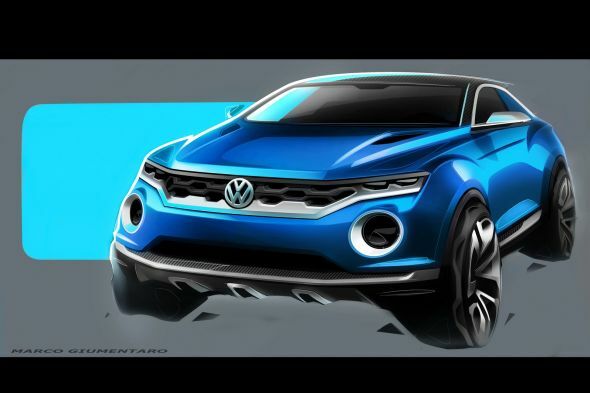 Given the fact that Volkswagen is developing a Polo based crossover to take on the likes of the Ford EcoSport and the Renault Duster, the T-ROC concept leaves us wondering whether it is the pre-cursor to the next-generation Polo based compact SUV/Crossover. If that is the case, expect to see the addition of two more doors, a non-detachable roof and lower powered petrol and turbo diesel engines. In its current specification, the 4 seat T-ROC concept SUV is said to hurtle past the 100 Kph mark from standstill in 6.9 seconds, going all the way up to a 210 Kph top speed. 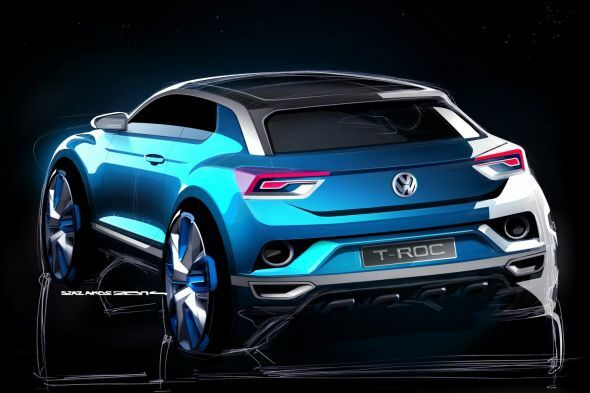 Expect more clarity on the role of the T-ROC concept SUV and the direction this concept could take in the future from the Geneva Motor Show that is due to kick off next week. Until then, we’ll leave you with these sketches to salivate over.